Nissan’s Infiniti luxury brand is going all in on hybrid and electric cars, and at the 2019 Shanghai Auto Show, it will offer a peek at what those future cars could look like. 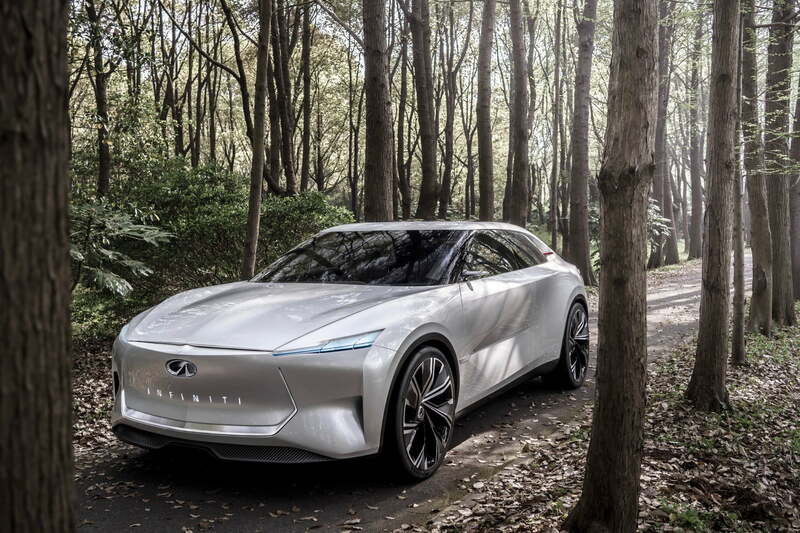 The Infiniti Qs Inspiration is the latest in a series of concept cars demonstrating how greener powertrains and other new technologies could change the shape of the brand’s luxury cars. Infiniti called the Qs Inspiration a “sports sedan,” but it’s a bit chunkier and taller than a typical sedan. The concept car also features a raised, SUV-like, driving position, according to Infiniti. Given how SUVs are currently eroding sales of sedans, it’s not surprising that designers tried to incorporate some SUV-inspired styling elements. Infiniti parent Nissan took a similar approach with its IMs concept, a tall sedan that debuted at the 2019 Detroit Auto Show. The overall design also bears a familial resemblance to other recent Infiniti concept cars, such as the QX Inspiration and Q Inspiration, even using the QX Inspiration’s light-up “Infiniti” script in place of a traditional grille. Infiniti also promised a “minimalist cabin” divided into two zones: one focused on the driver, and one focused on passengers. But the automaker hasn’t shown the interior yet. 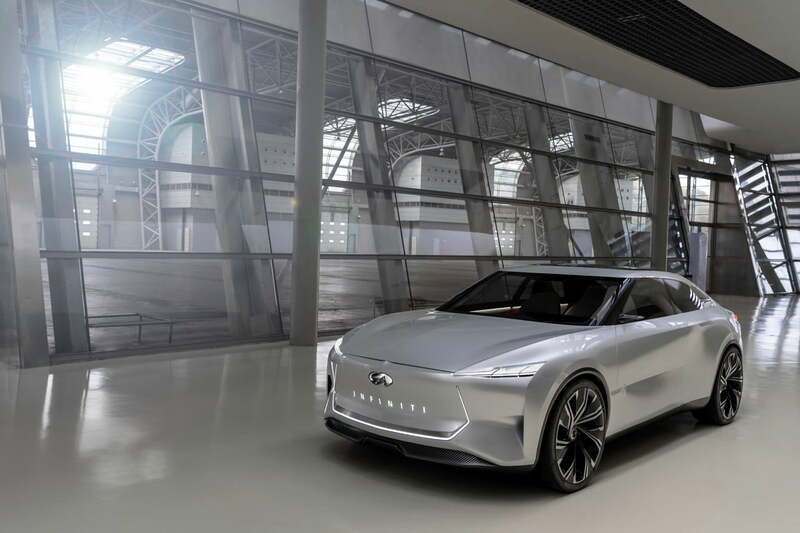 The Qs Inspiration concept is “based on an all-new flexible architecture developed specifically to accommodate electrified powertrains,” an Infiniti press release said. But the automaker didn’t get more specific than that. “Electrified” is an auto-industry catchall term for hybrid and all-electric powertrains. Infiniti didn’t say exactly what its under the Qs Inspiration’s hood, but did note that the concept car has all-wheel drive. Infiniti plans to add an electrified powertrain to every model by 2021, and will also launch its first all-electric production car that same year. Parent Nissan’s Leaf is the bestselling electric car in history, but Infiniti has been slow to adopt electric powertrains. The brand has been teasing an electric car as far back as 2012, when the LE concept debuted at the New York Auto Show, without pulling the trigger on a production model. Infiniti has dabbled with hybrid powertrains, and claims to be working with sibling brand Renault to bring Formula One hybrid tech to the road, but right now conventional gasoline engines dominate Infiniti’s lineup. This year marks Infiniti’s 30th anniversary. The brand rolled out its first car, the Q45 sedan, at the 1989 Detroit Auto Show. That car had some forward-looking features, and was the inspiration for Infiniti’s current Q-based naming scheme, but ultimately didn’t make a very big impact on the market. Will the Qs Inspiration and the future electrified cars it previews make more of a statement? Updated on April 11, 2019: Added photos, design details, and confirmation of all-wheel drive.